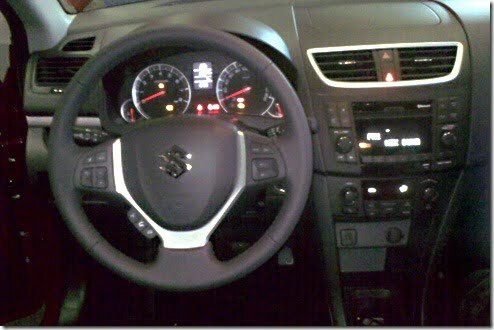 Maruti Suzuki is always working hard to maintain its long time number one car maker position in India. In this effort, Maruti keeps coming up with new cars across all segments in a couple of years from the previous release. 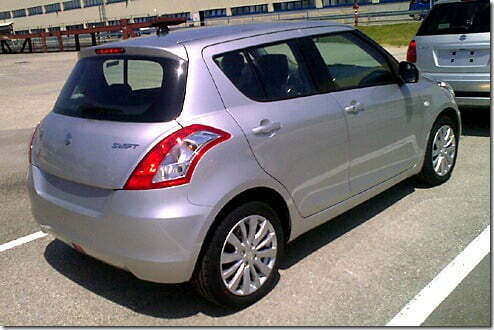 This time, the new car will be the new Avatar of already popular car Maruti Suzuki Swift. The Swift will get even better in terms of dimensions, interiors and exteriors. The signature style and shape will remain fundamentally similar, but the new Swift is longer, wider and slightly lesser in height for more ride stability. 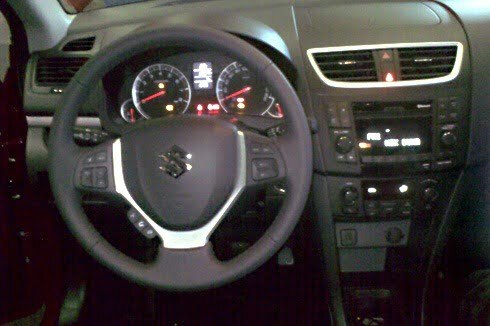 The new Suzuki Swift comes with the K12 Suzuki K series engine which is a 1200cc K series engine which is same as in the existing generation of Maruti Swift. The transmission may or may not be changed as well the existing cable shift transmission and gear ratios are working out well in the existing generation. 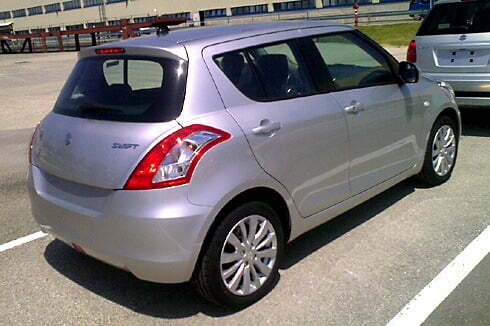 The new Swift 2011 is taller than the existing Swift by about 155mm. This is a good increase to new length of 3850 mm (compared to existing length of 3696mm) which still helps to keep the New Swift in small car category in terms of tax rules by keeping is less than 4 meter in length. This increase in length will add to more space inside swift and make it more appealing car to buy. The width has also been increased from 1690mm to 1695mm which is not a considerable change. The height of the new Swift is 1510mm compared to 1530 mm of the existing swift which is slightly lesser in height. The wheelbase has been increased to 2430 mm compared to 2390 mm which will add to a better handling & performance. The new tail light design extending to the sides and a much more attractive rear makes the visual appeal of the New swift much better. The clear crystal lamps at both front and rear makes it a beautiful looking car. The interiors of the new style steering with improved central console, Integrated audio system, better interior space owing to the increased length of the car. The car will have better leg space for rear passengers. The quality of the plastic is also expected to become better to compete with rival cars of the same segment. The new seat fabric and door trims will give New Swift a new and more classy look compared to the existing swift. The front console will have an auxiliary and a USB port built in for audio side by side with the charging slot. All in all, the new Swift looks an even better package and will pose more competition to the cars like Hyundai i20 & other compact hatchbacks like Chevrolet Aveo UVA, Nissan Micra and Volkswagen Polo. 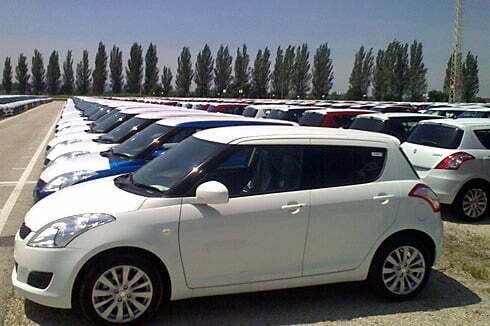 The price of the New Maruti Swift has not been declared in India. The launch is expected near January 2011. 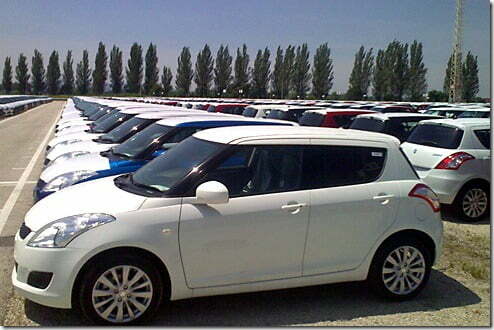 The price of the new Maruti Suzuki Swift is expected to be slightly higher than the the existing swift. The prices may start near Rs. 5 Lakhs and onwards.